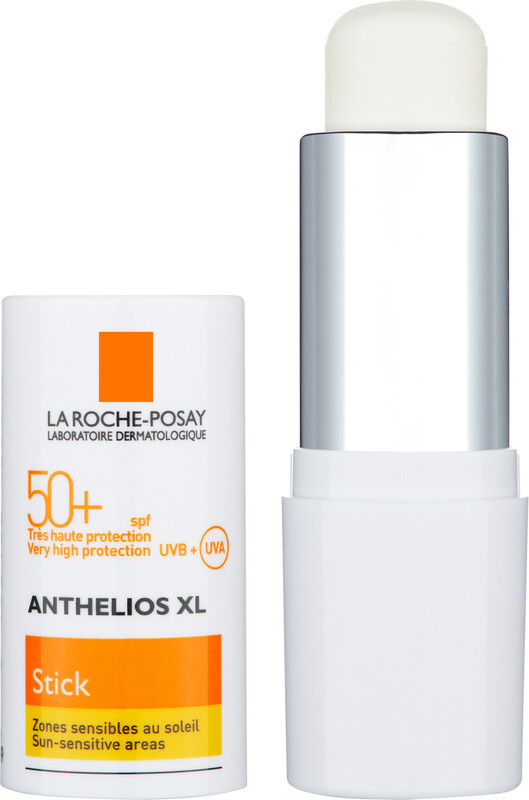 Ensure very high protection for your sun sensitive areas with the La Roche-Posay Anthelios SPF50+ Stick, a targeted product for eyes, ears, nose, scars, and moles. If your skin is allergic or intolerant to the sun, extra protection is needed. This gentle and effective formulation ensures a very high, broad, and photostable UVA/UVB protection with an optimal SPF of 50+. Made without fragrance and parabens, the emulsion is suitable for even the most sensitive of skin, is non-comedogenic, and is resistant to water. The highly moisturising texture is so comfortable on the skin, with an easy glide formulation that ensures trouble-free application. The complexion feels unburdened, and it is protected from sunburn and cell damage. 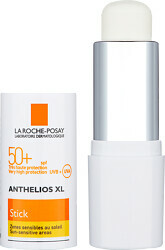 La Roche-Posay Anthelios XL Stick SPF50+ 9g is rated 5.0 out of 5 by 9. Rated 5 out of 5 by Lusi from Excellent spf Best stick spf: cheap, easy to use, extra gentle for any part of the face's skin! Rated 5 out of 5 by Yoots from Easiest sunscreen application! Bought this for a holiday recently, it protected me very well! And was extremely easy to apply! It also fits in the smallest of bags/purses. Lasted around a month with 2 applications a day. It's not too greasy (unless you put on too much!). Also fragrance-free for my very sensitive skin! Didn't leave me looking pasty like some sunscreens do. Will be re-purchasing every time I go on holiday! Love it!